Police are investigating after a man's body was found at a beach in the Vale of Glamorgan. 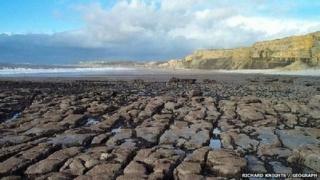 Officers were called to Monknash beach, near Llantwit Major, at 12:25 GMT on New Year's Day and the body was recovered. His next of kin have been informed and formal identification of the body has been arranged. Investigation into the circumstances of his death are continuing on behalf of the coroner.